The 29-year-old physicist’s work was recently highlighted in the government daily Iran, which suggested that the young woman’s creativity and technological prowess could help Tehran combat its stubborn pollution problem. “It wasn’t just a few,” Faghiri says of the problems she encountered growing up as an Afghan in Iranian society. She said she learned to put problems “behind the door” and focus on her work. She said she eventually found her calling in physics, which she first saw as an “unreachable” subject. “Since I always like to conquer difficult things, I started to study physics,” she said, adding that she came to understand and love the field. “Some friends who learned of [my achievements] from the news even stopped answering my calls,” she told RFE/RL in June. The Iran daily reported that the device was being considered for use in Tehran’s Tohid Tunnel, which stretches under the capital for around 3 kilometers. She said she witnessed the “destruction” and suggested women face more restrictions in Afghanistan than in Iran. 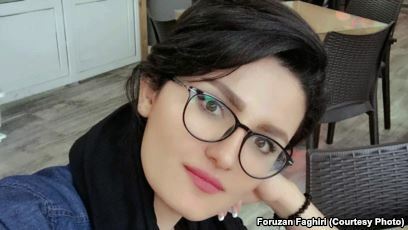 Yet Faghiri felt “home” for the first time in years. “I would meet someone I didn’t know in the street and feel he’s my brother. People were so kind — it was different from here,” she recalled. ISLAMIC RENAISSANCE PERIOD- they were mostly from the inside of the current borders of Afghanistan or its near. *THAT IS THE FACT !